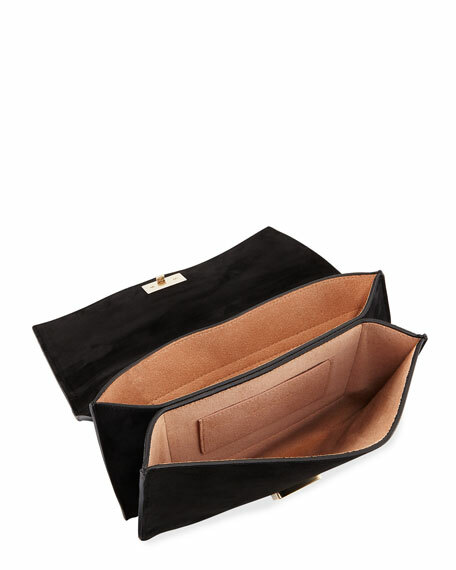 Roger Vivier suede crossbody bag with signature chain fringed buckle. Exterior, logo initials at corner. For in-store inquiries, use sku #2592316.